If you're struggling with cold symptoms like runny nose, headache and coughing, some people may suggest taking a garlic supplement to help relieve your symptoms. Unfortunately, garlic isn't a proven remedy for the common cold. But if you don't have a cold yet, research suggests that garlic supplements might be a good way to prevent this annoying infection. 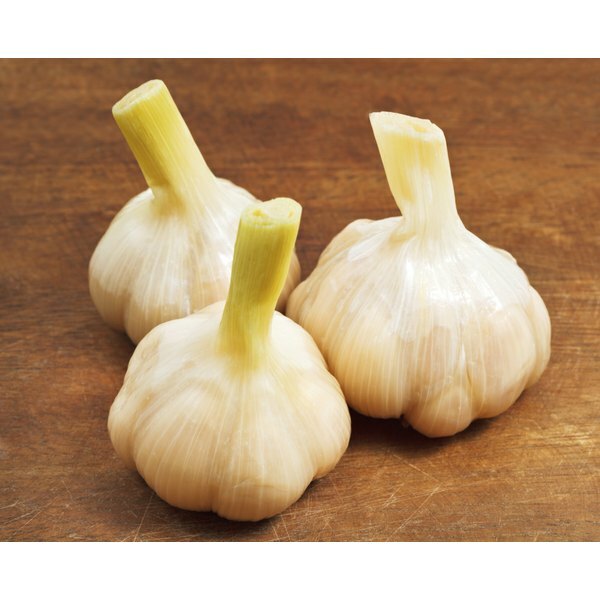 Peter Josline investigated the relationship between garlic and the common cold in a study published in "Advances in Therapy" in 2001. This study didn't show that garlic cured common cold symptoms, but it did suggest that taking a garlic supplement could prevent you from catching a cold. The participants in the study who took garlic supplements caught fewer colds than the participants who took a placebo, and the colds were shorter in duration. Although researchers have not conducted many studies on the relationship between garlic and the common cold, this study showed that you may be less susceptible to the common cold if you take a garlic supplement each day. If garlic's a remedy for the common cold, not enough research exists to prove it yet.